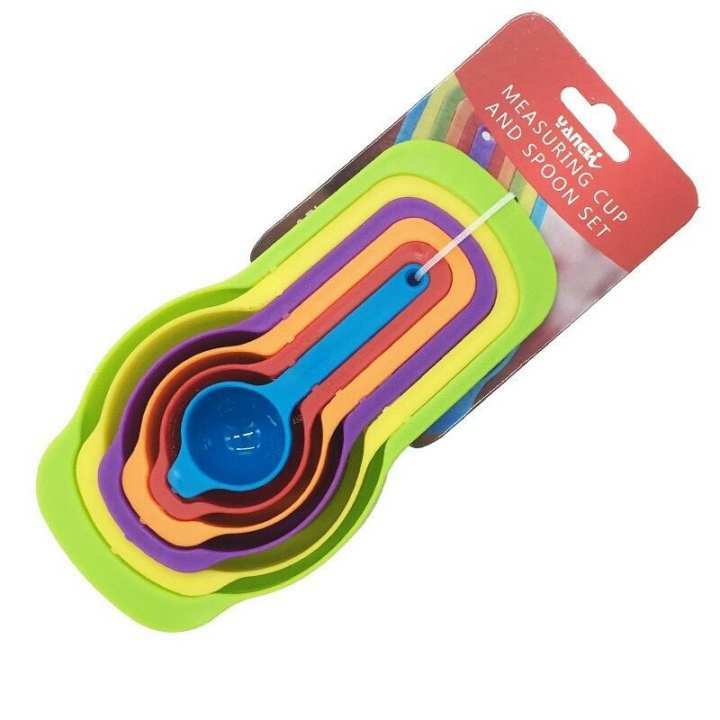 This colorful set of measuring cups features 6 different sizes Includes 1/2 Tbls, 1 Tbls, 1/4 cup, 1/3 cup, 1/2 cup, 1 cup.cup, 1/3 cup, 1/2 cup, 1 cup.t plastic. Colors are random and will vary from set to set. Innovative stacked design allows the cups to be nested neatly together, while occupying the minimum amount of space.